New Jersey's Barnegat Bay lies at the heart of one the nation's loveliest—and best-loved—coastal natural areas. The region features miles of welcoming beaches, cool pine barrens forests, expansive wetlands and saltmarshes. The area is home to hundreds of wildlife species many listed as threatened and endangered by the state and federal governments. The natural beauty of the area also supports a robust tourism and recreation industry. But this is also one of New Jersey's fastest growing regions, and pollution caused in part by the ever-expanding footprint of development along waterways and above the watershed's shallow, sandy aquifers, threatens drinking water and the bay itself. The low-lying watershed is also vulnerable to coastal storms, which have increased in severity in recent years. 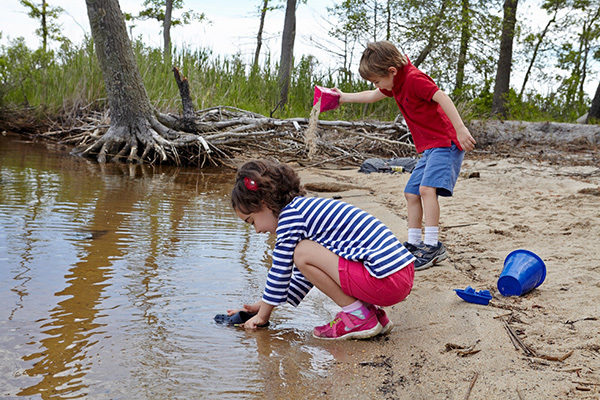 One of the most effective ways to protect Barnegat Bay is to conserve sensitive lands within the watershed. Since 1985, The Trust for Public Land has partnered with agencies, communities, and donors to safeguard land, water, wildlife, and the region's much-valued quality of life. To date, we've protected more than 13,000 acres as parks and natural lands. But for all we've accomplished, much more needs to be done.